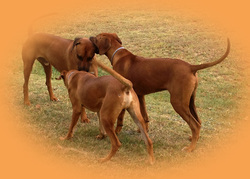 We network and rehome Ridgebacks and Ridgeback crosses. The dog must sleep inside and be part of the family. We do not rehome to the first application; we find the right home for the right dog. An active owner who is willing to be owned by a Ridgeback and to make that dig part of their family. The property should be large and well fenced. Are the dogs dewormed at the time of adoption? As often as we can, otherwise he we have a list of behaviourists that assist us. We ask the current owners or the shelters to give us that information or we have a behaviourist assess it. We encourage the new owners to take their dogs to a neutral spot to meet the new addition to their family. We often get updates from the families and depending on the area we do follow up checks. They are more than welcome to contact us with any issues or questions they may have. If an offer to foster comes up then yes we do, otherwise no. We do not have physical kennels so we would try to rehome as soon as possible or find temporary kennels for the dog.